Montane and BMC discount scheme to change following feedback from BMC members and independent retailers. Volunteers are crucial to the BMC, we couldn't survive without volunteers giving their time and support. To ensure we're doing our best and meeting the needs of BMC volunteers we have put together a volunteer survey. A quick overview of the 70-year history of the BMC. At 11am on Saturday 22 April, the sun beat down on the Welsh mountains, yet it was standing room only in the large lecture room at Plas y Brenin. The promise of a BMC AGM does not normally draw in the crowds – especially on a bluebird day – but this was no normal year. It’s an exciting time for the outdoor world. A recent Active Lives Survey revealed that 2.14 million people now go hill walking, climbing or mountaineering twice a month. That’s almost 2 million walkers, around 100,000 outdoor climbers and 170,000 indoor climbers! Niall Grimes talks to Johnny Dawes about his new book, Full of Myself. Now available in the BMC shop. Do you still sell coach travel for members? Can you sponsor me for my 3 peaks walk / abseil etc? 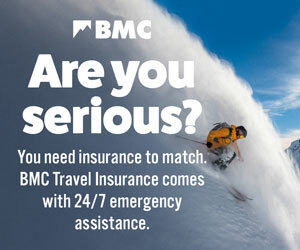 What are the BMC office hours? Does my BMC Civil Liability Insurance cover me when instructing? Can I register for a Mountain Leader Award here?